Weaver & Budd Law is here to provide your family and/or business with the quality legal services they may need. We understand that every case, including yours, is of the utmost importance. We pride ourselves on our personalized interaction with both current and prospective clients. We will listen to you, review the details of your legal needs, and use our experience and knowledge to provide a beneficial solution to whatever your issues may be. Our work includes dealing with a variety of matters in civil litigation, helping entrepreneurs with their business startups, preparing trusts and estates, working with families to try and make beneficial solutions to a separation, helping drivers fight against traffic tickets, and assisting our clients in appellate courts. Our attorneys have combined experience of over 40 years in practice. Laura Budd is currently the board for ARAG, a national legal insurance company, and is also a certified mediator for the North Carolina Civil Superior Courts with Mediation Solutions, Inc.
At Weaver & Budd Law, we want to ensure our clients comfortable through the process of their case and understand how the law applies to them. We understand how important your case is and will make it a priority to treat it as such. If you are in need of quality legal services for your business and/or family, contact an attorney at Weaver & Budd Law today. 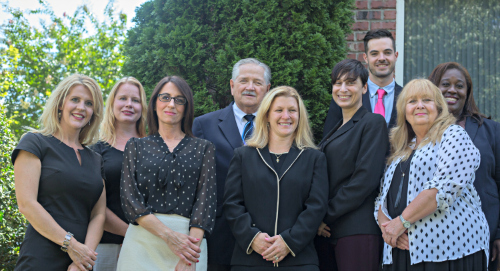 Our attorneys have combined experience of over 40 years of practice. Laura Budd is currently on the board for ARAG, a national legal insurance company, and is also a certified mediator for the North Carolina Civil Superior Courts with Mediation Solutions, Inc.
At Weaver & Budd Law, we want to ensure our clients are comfortable through the whole process of their case and understand how the law applies to them. We understand how important your case is and will make it a priority to treat it as such. If you are in need of quality legal services for your business and/or family, contact an attorney at Weaver & Budd Law today.